The "Young Head" gold sovereign is one of the more attractive and collectible sovereign varieties on the market today. 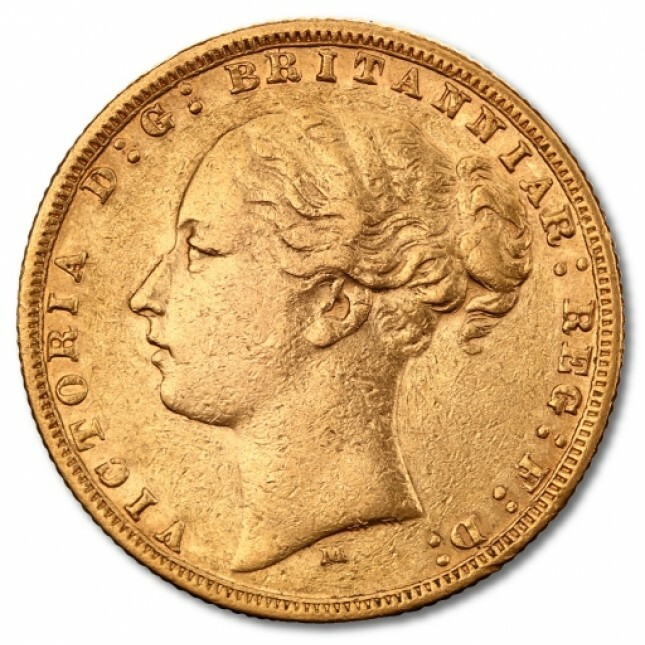 Difficult to find in quantity, these coins typically trade at a significant premium over their more common sovereign counterparts. Purity of .9166 Fine Gold. Contains .2354 troy oz of pure gold. Coins are in VF/XF condition. Coins are shipped in protective coins flips. All orders are fully insured and are packed discretely.